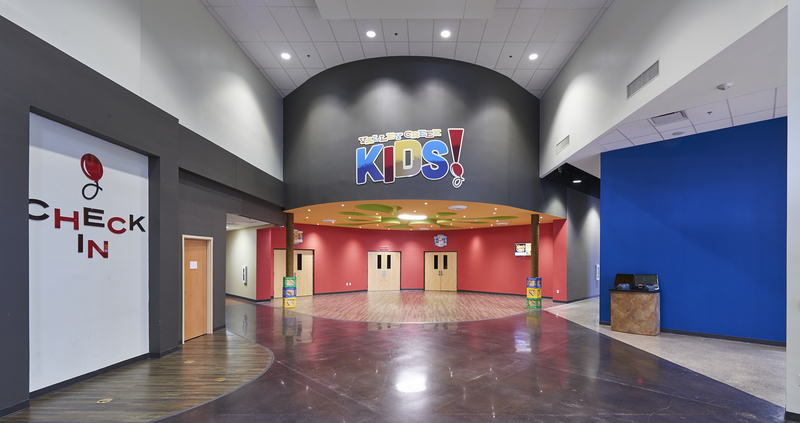 After several years of considerable growth, Valley Creek Church needed to expand its main campus to accommodate increased attendance. 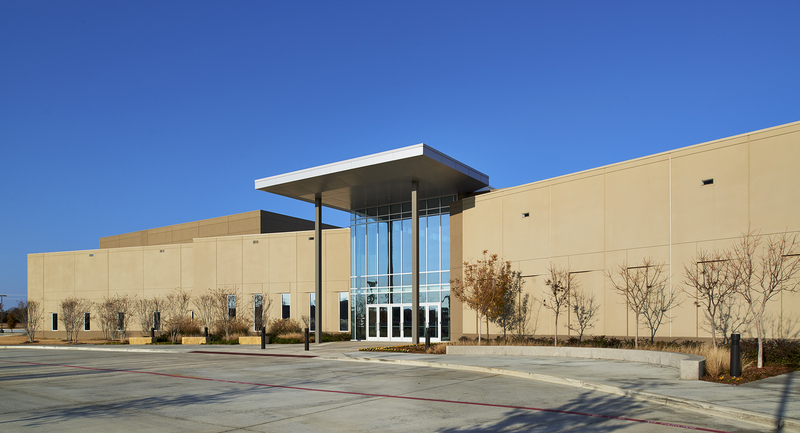 Beck’s design and construction teams led the expansion project, which involved a combination of new construction as well as remodeling. 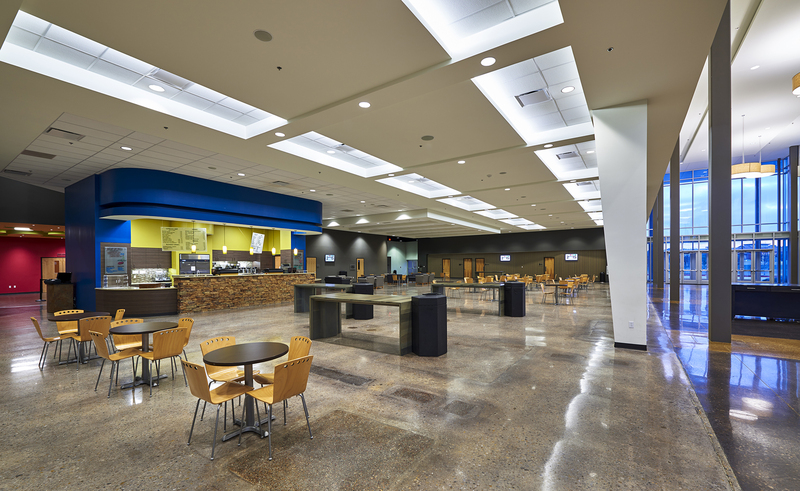 New construction aspects included the worship center and back-of house areas, an AV production suite, a pastor’s greeting area, and the lobby. 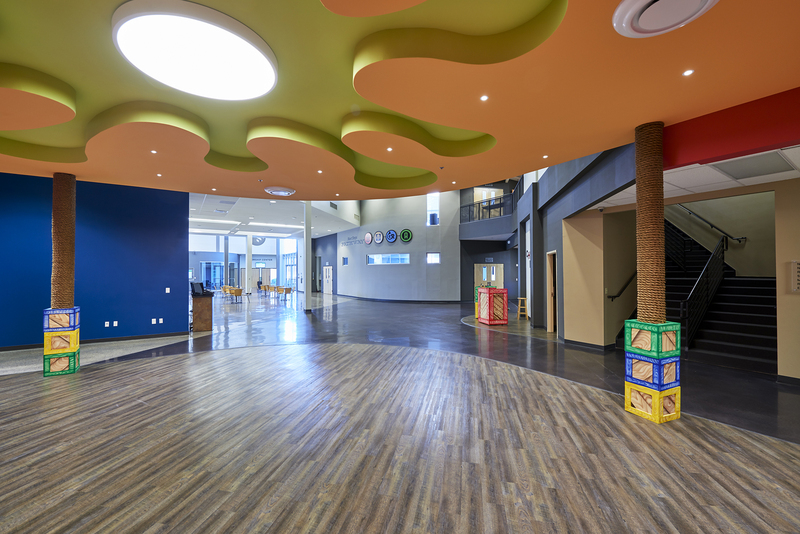 The existing structure was remodeled to include children’s auditoriums, a café, and several classrooms. 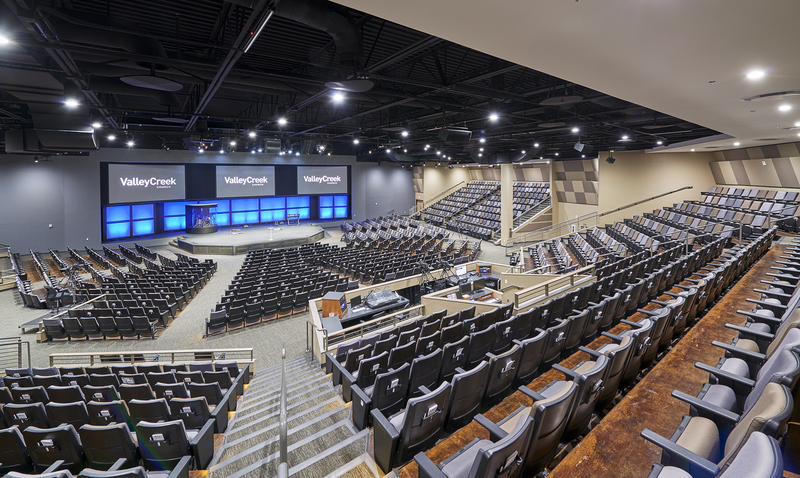 The new sanctuary supports the high-energy interactive presentation style of the senior pastor. A 30 foot deep thrust stage with tiered seating on a wide wrap creates an intimate space, allowing the pastor to maintain visual connection with the church members throughout the message.